Lines for Life launches “BeThe1To” program to spread the word about preventing suicide. Find the Suicide Prevention Resource Center resources and programs here. Find the ZeroSuicide Toolkit here. In Oregon, suicide is the second leading cause of death among Oregonians aged 10 to 24. In response to this statistic, the Oregon Health Authority developed a plan with strategies for communities to use to reduce youth suicide. Review the Oregon Youth Suicide Prevention Plan (pdf). This plan outlines an initiative through which Oregonians can help break through denial and cultural taboos about death, help end the shame associated with suicide, help foster the conviction that not even one youth has to die by suicide, and help take responsibility by openly and honestly joining with other Oregonians to reduce suicide among our youth. 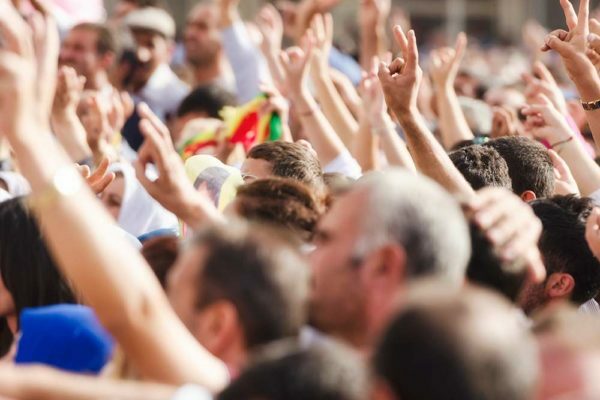 The strategies for state and community-based action require a commitment to partnership and shared responsibility among state agencies, between state and local governments, and between public and private sectors. Suicide accounts for more than 80% of all gunshot deaths in Oregon. These tragedies are preventable. Every U.S. study that has examined the relationship has found that access to firearms is a risk factor for suicides. Firearm owners are not more suicidal than non-firearm owners; rather, their suicide attempts are more likely to be fatal. Many suicide attempts are made with little planning during a short-term crisis period. If highly lethal means are made less available to impulsive attempters and they substitute less lethal means, or temporarily postpone their attempt, the odds are increased that they will survive. Studies in a variety of countries have indicated that when access to a highly lethal and leading suicide method is reduced, the overall suicide rate drops driven by a drop in the restricted method. Intent isn’t all that determines whether an attempter lives or dies; means also matter. 90% of attempters who survive do NOT go on to die by suicide later. Reducing access to lethal means saves lives. Read more at Means Matter, published by the Harvard School of Public Health. Far more people kill themselves with a firearm each year than are murdered with one. Suicide is the tenth leading cause of death in the United States, and in over half of cases, people used firearms. Volunteers support the efforts of Ceasefire Oregon and help make what we do possible. Find out how you can help. 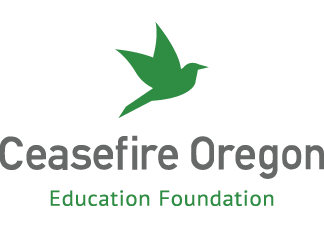 Your support enables Ceasefire Oregon Education Foundation to continue working toward a stronger, safer Oregon for all of us.